It’s been over a month since we launched our new artisanal fabric, designed in collaboration with Insley & Nash, at The Chelsea Harbour Design Centre for Focus 17 and the reaction has been astounding! Visit our stand at the main entrance of The Chelsea Harbour Design Centre to see our new hand painted fabric design covers our iconic Saffron Chair. 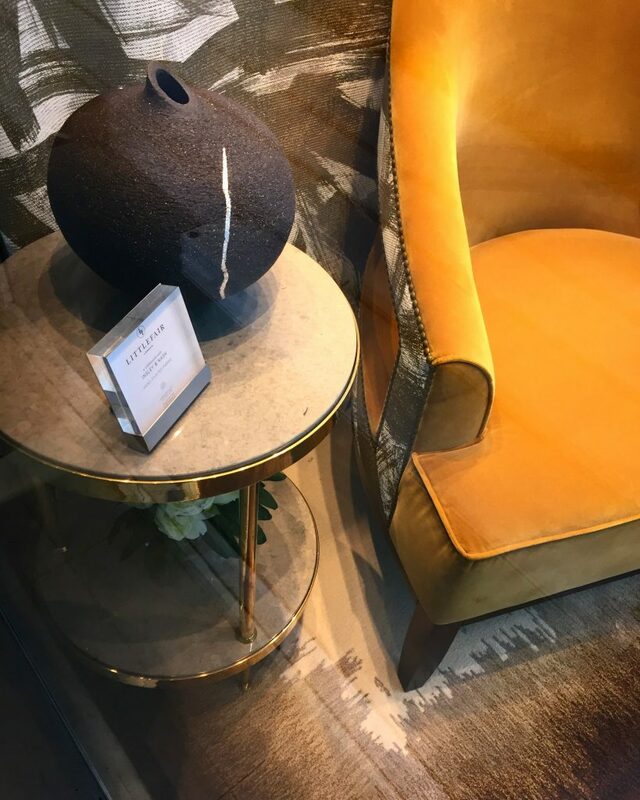 This is complemented by the Compton side table, the Crackle Black Vase and a beautiful bespoke-commissioned Rothko rug by Riviere Rugs.